What is a Maryland Non-Compete Agreement? Maryland Non-Compete Agreement: What Is It? In Maryland, a non-compete agreement serves as a legal means that businesses use to ensure that their trade secrets and private business methods are kept private. A business or company will generally have all of its new hires sign a non-compete agreement to ensure that the employee doesn’t engage in competitive behavior once his or her employment comes to an end. 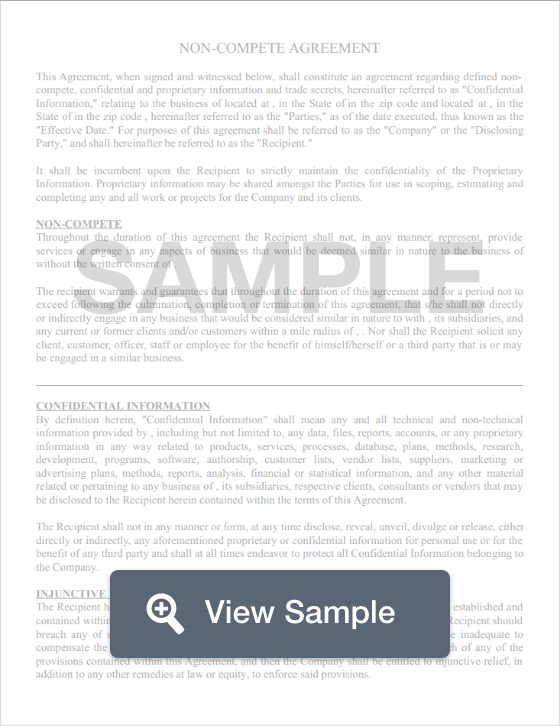 Once the form is signed, it becomes a legally enforceable document that the employee must abide by. The stipulations included in these documents usually refrains the employee from working for a competitor for a period of time or engaging in competitive behavior. Non-compete agreements may also include a clause that says that the employee may not engage in similar business activity within a geographical region of the company. Although Maryland doesn’t have any specific laws that restrict or enforce non-compete agreements. Nevertheless, companies are encouraged to be fair in drafting these agreements. Remembering that every employee has the right to procure employment, companies are encouraged to be reasonable in time, scope, and geographic limitations.